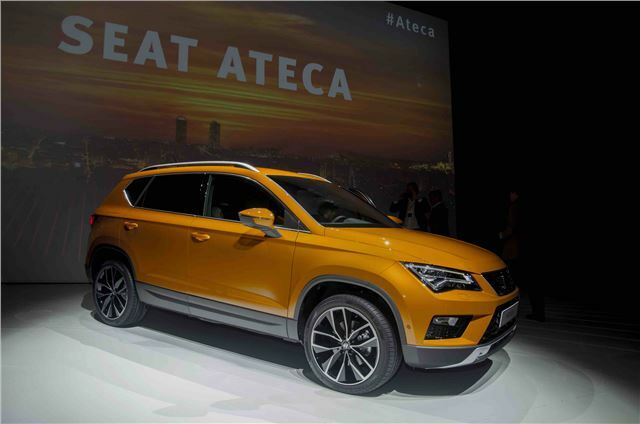 SEAT has unveiled the Ateca crossover ahead of its launch at the Geneve Motor Show 2016. The new car could become the most important in its history, propelling the Spanish brand from something of a fringe concern in the UK to a major player with significant market share. It’s been a long time coming, but the SEAT Ateca enters a market that shows no sign of slowing down – one in four cars sold in Europe in 2015 was a crossover or SUV. Here are 10 reasons why the Ateca could make an impact. It’s often been said that the SEAT Alhambra MPV and the Skoda Yeti crossover were the wrong way around, each more suited to the other brand. That’s because an SUV seems to fit a lot better with the SEAT brand (assuming it's sporty) than an MPV does, and the same the reverse way for Skoda. Still, better late than never, and now SEAT finally has its crossover – and buyers even more choice when deciding which SUV-type family car to buy.